Productivity often suffers because of information silos within the company. For example, your sales team may have records in filing cabinets, while your accounting department stores theirs in a separate server. Employees can spend hours tirelessly looking for important documents in a mishmash of folders stored on multiple devices. This isn’t a problem when you migrate to a DMS solution because it tags and organizes files into the appropriate folders using advanced document capture. And since DMS keeps your data in one place, employees don’t have to sift through filing cabinets and servers to retrieve their documents. In fact, they can search quickly through vast troves of content by typing a few keywords. With workforces more mobile than ever, businesses cannot afford to ignore the increasing role of online collaboration. But there’s a lot more to good teamwork than simply sending documents over email or fax. To maximize efficiency, you should implement a cloud-enabled and mobile-friendly DMS solution that brings everything together under one hood. That way, employees can access and share documents from anywhere with an internet connection. Electronic workflows let you automate repetitive tasks, and they’re a must if you want to get more out of your day. Identify all the processes that require some form of manual input, then ask yourself: How much time are people spending on these tasks? Who’s normally responsible for them? Can these tasks be automated? Customer onboarding and invoice processing are often the best candidates for automated workflows. You can program a workflow that processes invoices, verifies the amount and vendor name, redirects them to an approval manager, records financial data in an accounting system, and forwards them to payment. You should also consider creating workflows that send email reminders to make sure processes are done on time. Related article: What makes a DMS software user-friendly? The more workflows you create, the less time your employees spend on tedious tasks that drain their productivity and morale. Tight security and compliance are a big concern for businesses. Today, more customers are worried about who they provide their personal information to, so companies cannot afford to have lax document security measures. Centralized DMS solutions often provide various protections, including multifactor authentication and intrusion prevention systems, but there’s more you can do. Consider using DMS audit trail features to track who accessed certain documents, what changes were made, and when they were made. This is especially useful for keeping employees accountable and your business compliant. Additionally, set universal access rights based on job roles and devices. This will prevent unauthorized users from viewing sensitive information reserved for those with higher privileges. Giving employees access to only the files they need also means they’re more focused on their job and are less likely to make mistakes. The great thing about cloud-based DMS is that it keeps copies of your files in multiple offsite servers to ensure maximum data redundancy. However, it’s not enough to have a cutting-edge backup solution. You need to think about your compliance requirements, what data should go in the cloud, how often they should be backed up, and how long they should be retained for. Then, it’s important to test your data recovery procedures regularly and make any modifications if necessary. 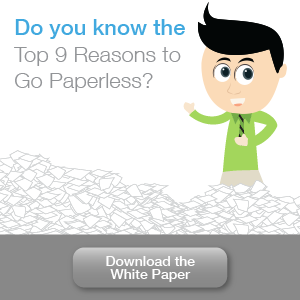 Doing all this well ahead of time will save you thousands of dollars in downtime and data loss. 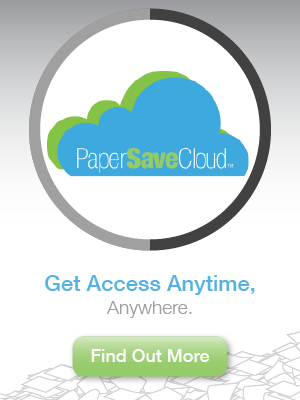 PaperSave gives businesses complete control over their informational assets with integrated document management, workflow automation, and multiple deployment options. 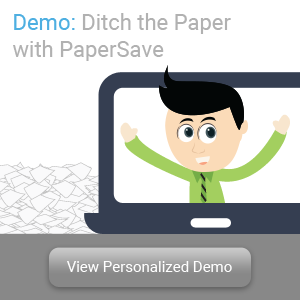 Call us today or sign up for a free personalized demo to find out how.